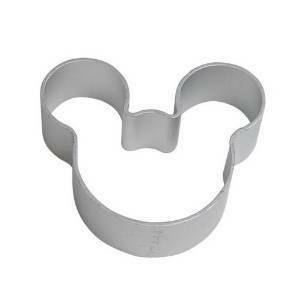 Mickey Mouse Cookie Cutter Only $0.60 + FREE Shipping! You are here: Home / Great Deals / Amazon Deals / Mickey Mouse Cookie Cutter Only $0.60 + FREE Shipping! Mickey Mouse Cookie Cutter Only $0.99 + FREE Shipping! It’s back! Get the Mickey Mouse Face Shape Cookie Cutter for just $0.99 with FREE shipping!! Head over to Amazon and grab yours now. These would make super cute cookies or pancakes!